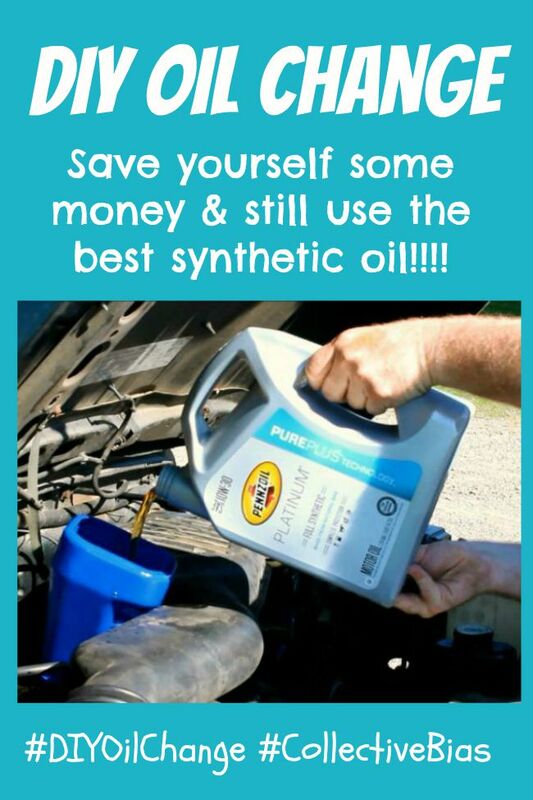 Change your own oil – a great way to save money! Hi! Doug (aka the Wilderness Son, Family Mechanic and Mr. Fix It) here, bringing you something to do yourself to save money and preserve your vehicle engine. 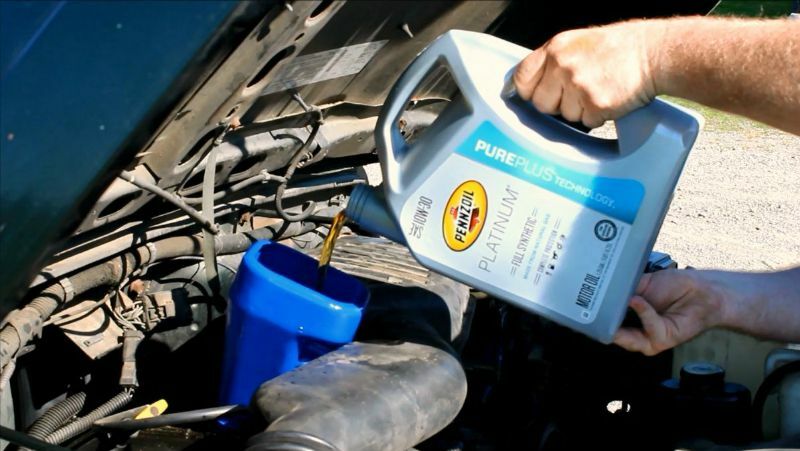 Change your own oil with Pennzoil Platinum full synthetic motor oil! If money is a little tight, changing your oil on schedule is just one of those things that you think that you can put off. But in the long run, engine oil that is past its prime can cause you wear and tear on your engine that will lead to costly repairs in the future. Yes, it is an outlay of cash that you could spend on something else but you can save money, use the best quality synthetic oil by changing the oil yourself and at the same time help to prevent costly engine repairs later on. You don’t have to be mechanically inclined to do this! 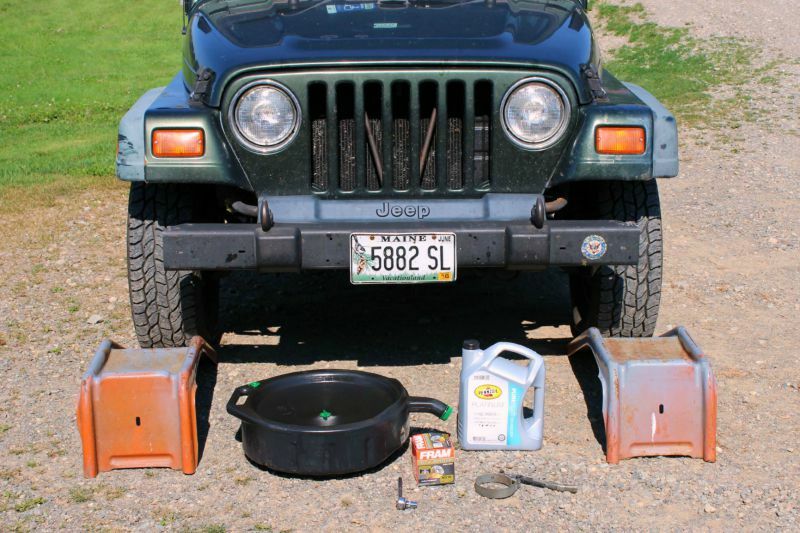 Just follow my simple DIY oil change instructions in the tutorial below. Now that you are going to be saving money by changing the oil yourself, give some serious consideration to the quality of the oil you are going to use. 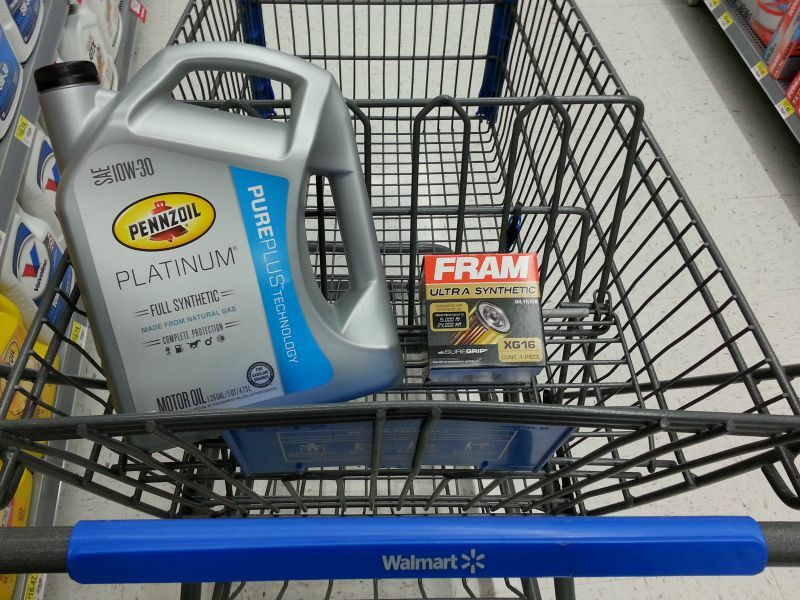 I always use a high quality synthetic oil; my synthetic oil of choice is Pennzoil Platinum. I like the fact that Pennzoil Platinum Full Synthetic Oil is backed by a 10 year/300,000 mile Lubrication Limited Waranty. My Jeep is no BMW, but the fact BMW has recently switched to using Pennzoil as its recommended motor oil for BMW engines makes me confident that I doing the best by my Jeep. Pennzoil Platinum Full Synthetic Oil provides superior protection, something I have experienced personally. Several years ago I put synthetic oil to the ultimate test. It was during my morning commute to work in rush hour traffic. A dump truck dropped a big rock in front of me. With the traffic lanes packed with bumper to bumper traffic traveling at 65 MPH, I had no where to go and took the rock right up the middle underside of my IROC Camaro. The rock ripped a huge hole in my oil pan and I lost all of the oil in seconds. I had heard many time the stories of vehicles running after losing their synthetic, so I took the chance and drove the rest of the way to work. I went 10 minutes and about 5 miles to finish getting to work (on time…didn’t get my boss mad). There was absolutely no engine damage! That day I became a believer in the value of synthetic oil. 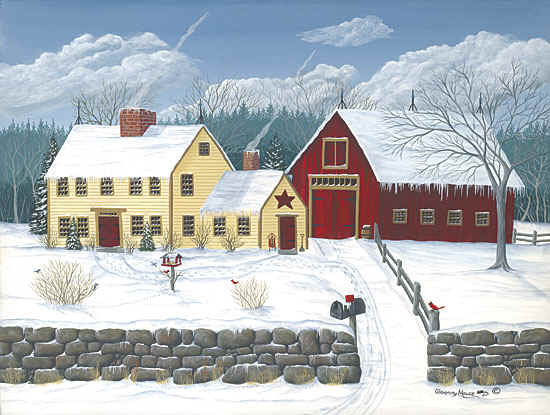 Is it more expensive, yes… but it is worth every penny! I replaced my oil pan but it could have been the whole engine if I hadn’t been running synthetic. I have run high quality synthetic oil in all my vehicles ever since. The odometer on the Jeep Wrangler was showing it was time for an oil change. Because this Jeep has almost 200,000 miles on it, I try to be very faithful about changing my oil every 3000-4000 miles. According to the schedule recommended in my Jeep owners manual, I could go 7500 miles or 6 months but we live in very northern Maine where there are some extreme weather conditions so I baby the vehicles. 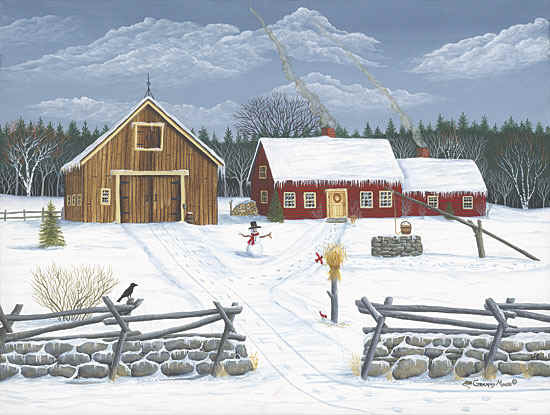 We live in the wilderness and are very dependent on our 4 wheel drive vehicles getting us out to the “real” world in the worst of conditions. So I made a quick stop at Walmart where I am sure to get the best price on my Pennzoil Oil and filter. 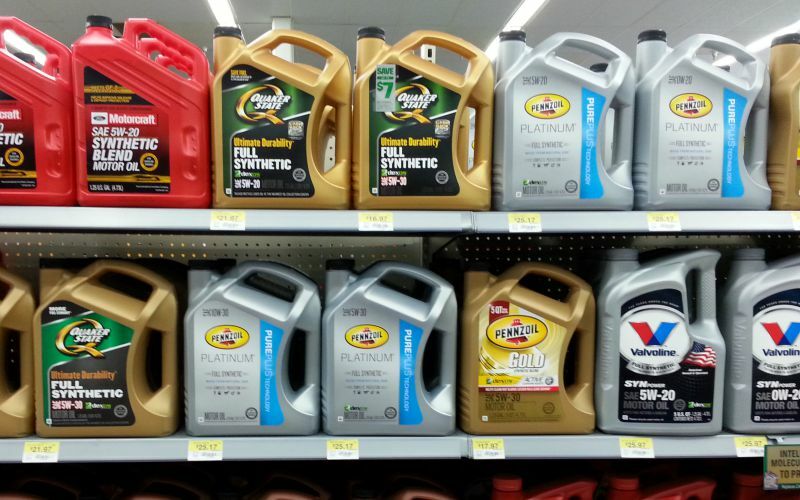 As usual the automotive section was well stocked and I had no trouble finding my Pennzoil Platinum Full Synthetic Motor Oil and the oil filter for my Jeep. 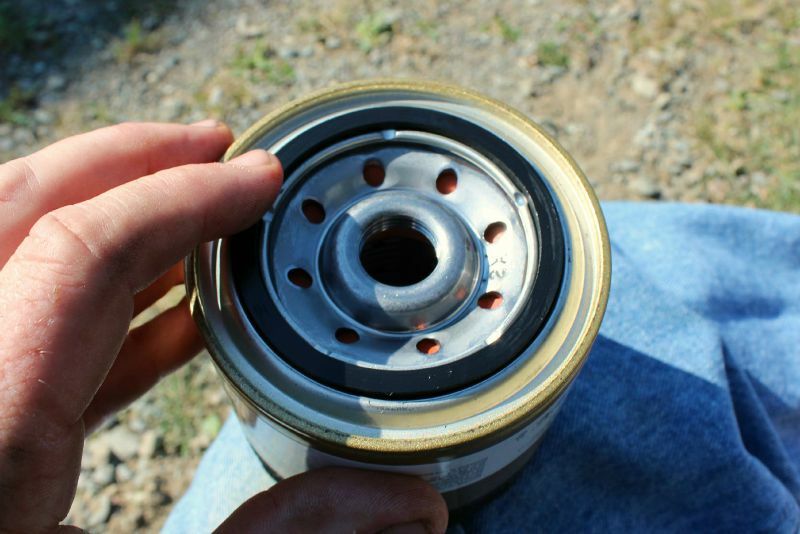 Always replace the oil filter with a new one when you do an oil change. 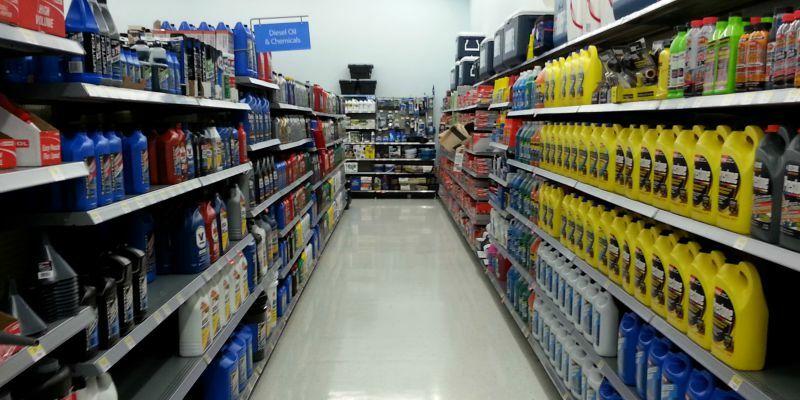 If you are not sure which oil filter you need, Walmart always has a very handy reference manual in the department where you can look up your make, model, and year vehicle and find the filter that’s the right fit for your engine. In the photo below you will see it on the right side of the aisle, about half way down the shelf display, at eye level. 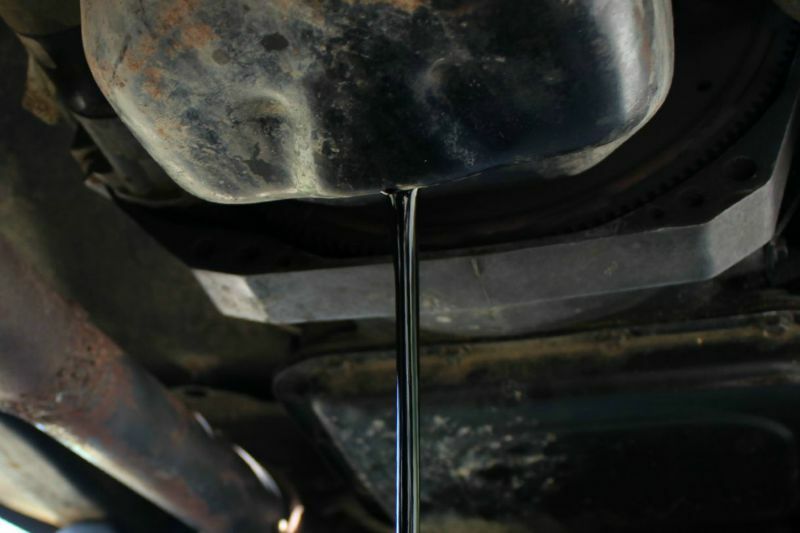 Be sure to check your vehicle owners manual for amount and type/weight of oil needed. But only one clear choice, for quality and protection…. Pennzoil Platinum! So on to the instructions. 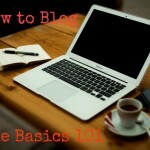 First you’ll need to gather all the tools and equipment you will need. 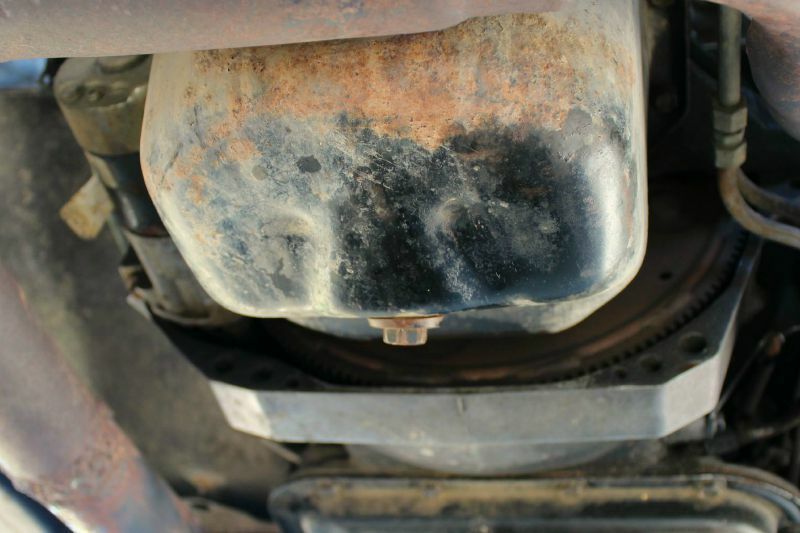 At minimum you will need oil, oil filter, a pan or bucket to catch the old oil, a funnel, a jack or ramps to allow access under the vehicle, and a wrench to remove the oil drain plug. An optional tool is an oil filter wrench which is very useful if the you cannot get a good hand grip on the oil filter. After gathering the necessary tools and supplies, you need access under the vehicle. A jack is usually sufficient but the use of ramps pictured here really makes the process easy and safer. At this point we should address safety. You should always make sure the wheels of the vehicle cannot roll. Shifting into park on automatic transmissions or engaging parking brakes is not enough. 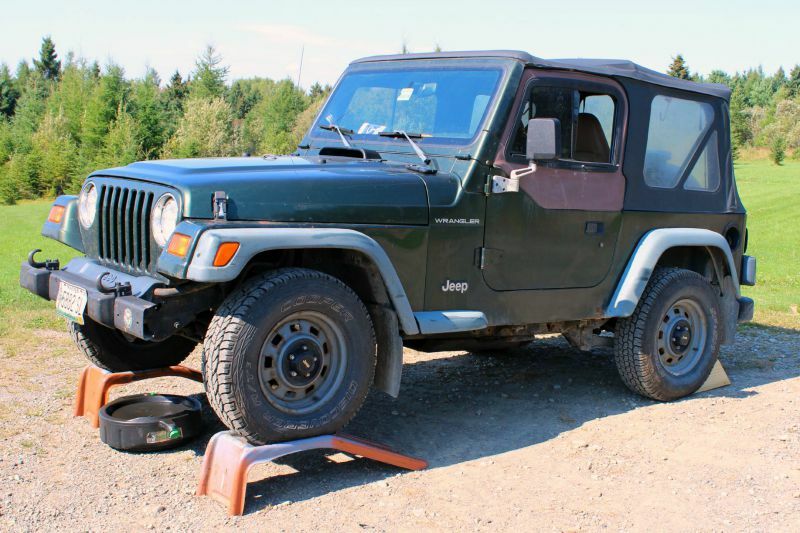 Always chock the rear wheels securely with a piece of wood or other object to prevent the vehicle from rolling back. And be sure to refer to your vehicle’s owners manual for specific information on your vehicle regarding safety, location of specific parts such as the oil pan, dipstick, oil filter, and other important information. Anytime you are working on something the size of an auto, you should pay strict attention to safety considerations. With the vehicle raised and chocked, it is time to crawl underneath and start getting dirty. Yes, you will get dirty doing this, it’s almost impossible to avoid. Wearing a pair of safety glasses is a very good idea in case any debris falls in the process. First, you will want to locate the oil drain plug. It is usually a bolt in the side, rear, or bottom of the oil pan. 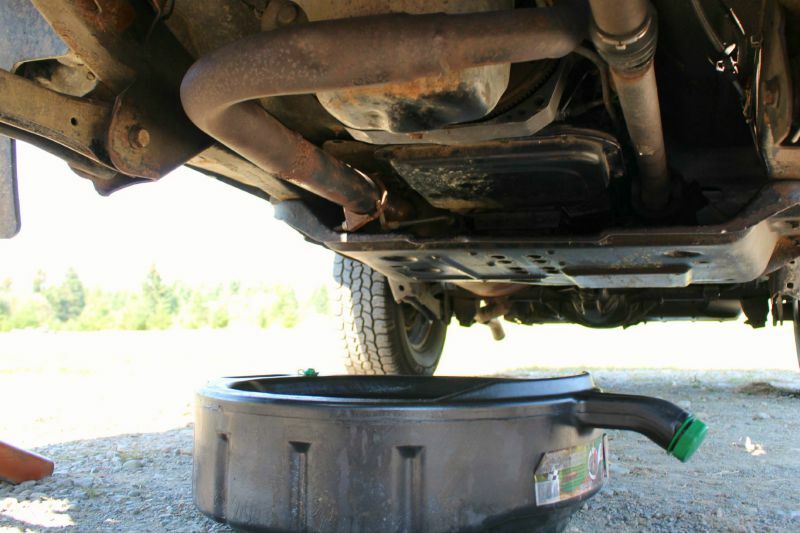 Next you will want to place the pan that catches the oil under the oil pan. 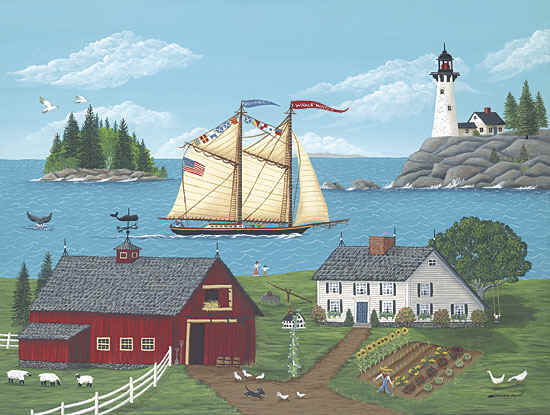 When placing the pan, be sure to consider any wind that may blow the stream of oil as it drains. Next loosen the oil pan plug using an appropriately sized wrench. Do not remove it all the way; just back it out counter clockwise 2 or 3 turns. Now set the wrench aside and remove the plug by hand. When the plug comes out of the drain hole, the oil will begin flowing instantly. Try not to drop the plug! I say this and can almost guarantee you will as I have done it numerous times. If you drop it, be sure to clean it with a rag or paper towel before putting back in so that no grit or sand gets into the engine. After the oil drains, it is always a good idea to inspect the old oil. It should be black or dark brown. It may a have a slightly burned smell to it. Things you should be alert for – a milky color, the presence of metal flakes, or an extreme smell of gasoline. All of these are signs that your engine may have a problem and should be checked by a mechanic immediately. Replace the plug, hand tighten turning clockwise till it is snug. Then tighten with the wrench being careful not to over tighten the plug as this can damage the threads. Now we need to remove the old oil filter. Look at the new filter to get an idea what the old one will look like. 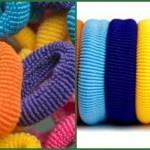 Color will often vary between manufacturers, but the shape will always be almost identical. 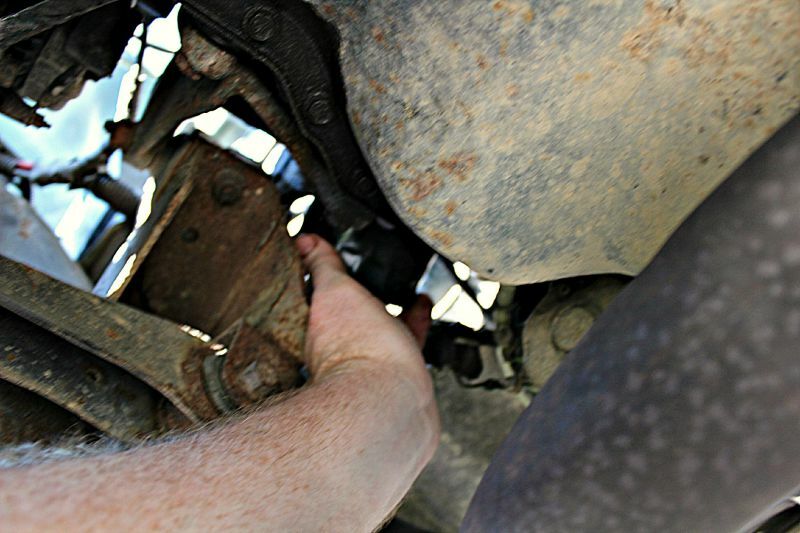 Once you find it, relocate the oil catch pan under the filter as some oil will leak out as the filter is removed. Again remove the filter by turning it counter clockwise, oil will begin leaking almost immediately. Once the filter is free, place it in the catch pan. Now we prepare the new filter. A mechanics trick I learned many years ago is to dip your finger in some of the new oil, then spread it along the face of the rubber seal on the filter. This will help insure a good tight seal, and make it easier to remove for the next oil change. Installing the new filter is just the reverse process of the removal. Tighten the the filter by hand, rotating clockwise till it is snug. Now we are ready to add the oil. 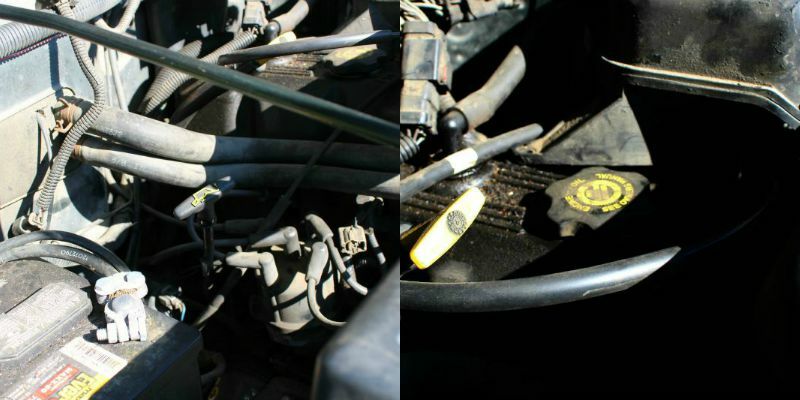 First locate the dipstick and oil fill cap, the pictures below show typical examples and locations of each. Remove the fill cap, and insert the funnel. Begin pouring the oil in, your cars owners manual will tell you the exact amount for your vehicle. When you have poured in the correct amount, replace the fill cap. Then start the engine, if your car has an oil pressure gauge it should be up to pressure in a few seconds and if your vehicle has an oil warning light it should go out in a few seconds. Shut off the engine, let the vehicle sit for a few minutes, then check the dipstick. If it shows that more oil is needed then add more. Be sure to dispose of the used oil and old filter according to any local recycling rules or laws. Check out the helpful video below for more oil changing information. So how often do you change your motor oil? Do you have it done by a mechanic or do you do it yourself?